More than one million GAF roofs are installed in the U.S. every year through the company’s network of authorized dealers and installers, GAF Energy President Martin DeBono told Solar Magazine. 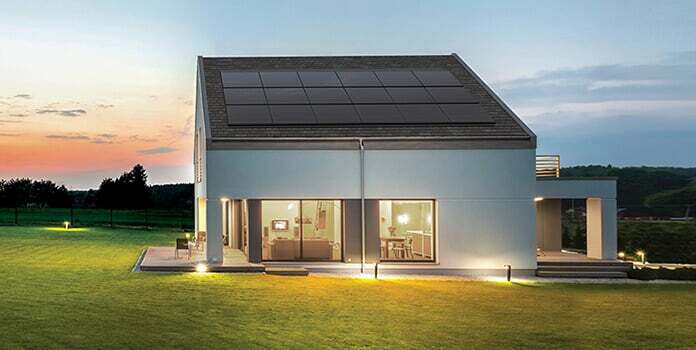 That opens up lots of opportunities for GAF Energy to market and install GAF’s Decotech line of rooftop-integrated solar PV systems and give the company a leg up on the competition. Commercial and solar project developers have been installing Decotech solar panels and PV systems since 2013. Having relationships with so many prospective residential solar and larger, C&I customers conveys a big competitive advantage. Standard Industries saw an incredible opportunity to show consumers and contractors that roofing is valuable real estate. 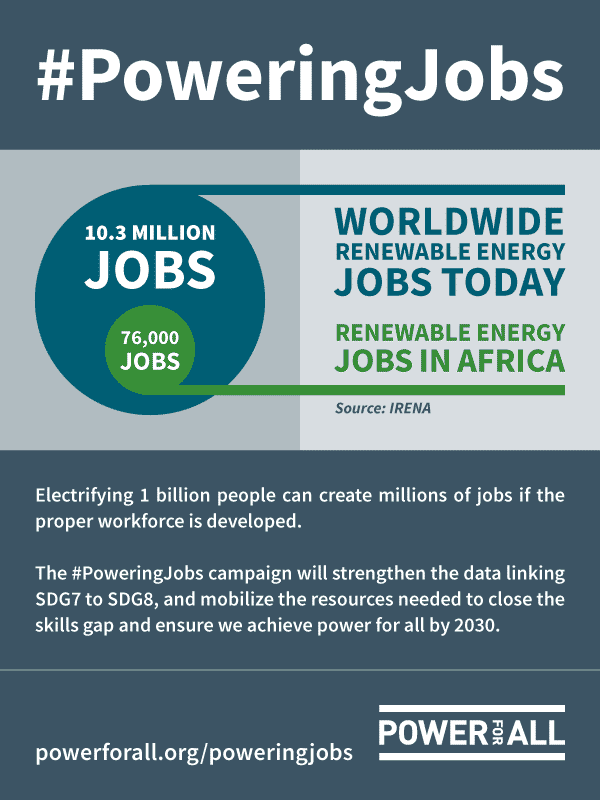 By embracing a new approach to solar, we can accelerate the adoption of clean energy sources by leveraging the large scale of the roofing industry. Standard Industries and GAF have gained a lot of inside-industry knowledge and experience in the U.S. solar market since the companies began working with C&I project developers some six years ago. “Standard Industries is building a deeply experienced team at GAF Energy: We know roofing, and we know solar. Standard Industries is already one of the largest players financing major solar projects across the U.S., and GAF Energy is the natural next step in leveraging its broad roofing distributor and contractor network to drive meaningful adoption of solar,” DeBono said. Moving forward, GAF Energy will be tapping into and leveraging Standard Industries’ extensive North American network of roofing and waterproofing products and services distributors and dealers from its principal offices in the San Francisco Bay and New York metropolitan areas. Standard has working relationships with roofing contractors in every U.S. state, DeBono pointed out. One million more U.S. solar roofs? U.S. solar energy growth has been sagging of late amid crystalline-silicon PV cell and module import duties and international trade disputes. 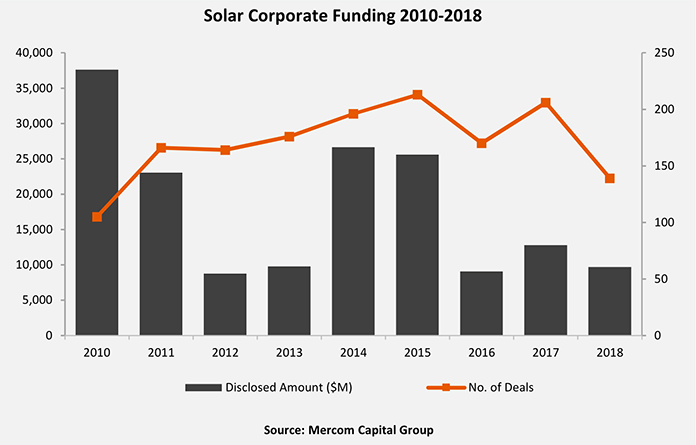 Globally, corporate funding of solar energy companies, including venture capital (VC), private equity (PE), debt and public market financing, fell 24 percent year-over-year in 2018, from $12.8 billion in 2017 to $9.7 billion last year, according to Mercom Capital Group. “2018 was a year filled with uncertainties, which started with Section 201 tariffs followed by an announcement from China that it was capping installations and reducing its feed-in-tariff. More bad news came from India which imposed safeguard duties on imports,” Mercom co-founder and CEO Raj Prabhu said for a press release. GAF Energy management believes there is an opportunity for each one of the one million GAF roofs installed in the U.S. each year to become a solar roof, according to DeBono. “For comparison, solar panels are installed on just 300,000 roofs in the U.S. annually. 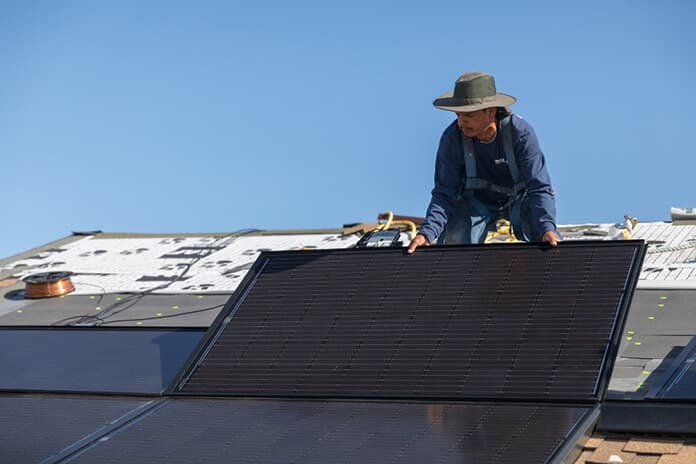 GAF Energy’s value proposition is making the choice to go solar easier and more convenient for consumers with a turnkey approach, and training and project management support to roofing contractors,” he explained.